Mr. Dolce was raised in Huron, Ohio and is a graduate of Huron High School. He received his Juris Doctor degree from the Case Western Reserve University School of Law and his Bachelor of Arts degree from The Ohio State University. 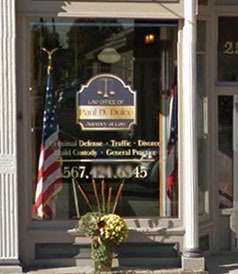 He is admitted to practice law in the State of Ohio.